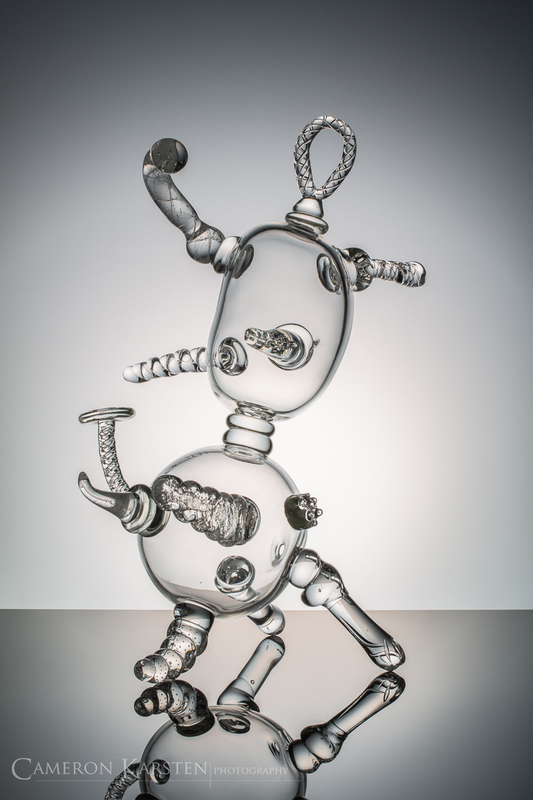 Internationally-renowned glass artist Robert Carlson recently spent one week as the Artist-in-Residence at Tacoma, Washington’s Museum of Glass Hot Shop. 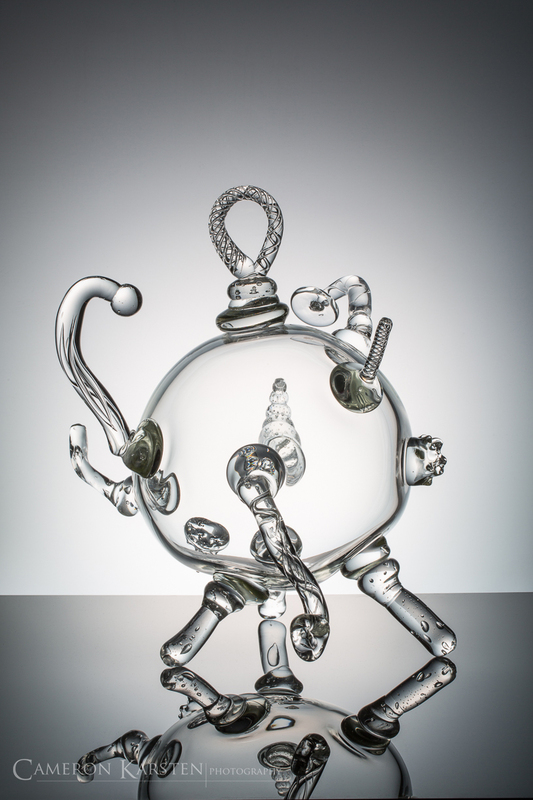 Here, he worked with the shop’s artists and interns to create the next line of imagination: 10+ orbs of glass weighing from 5 – 25lbs, each unique with twisting sculpted tentacles and bulbous knobs and hooks. They now await to be adorned with color. 100mm, 1/50 sec at ƒ/22, ISO 100, tripod.